I got into using kettlebells, a type of weight that I think originated in Russia, through our former blogger Allison. 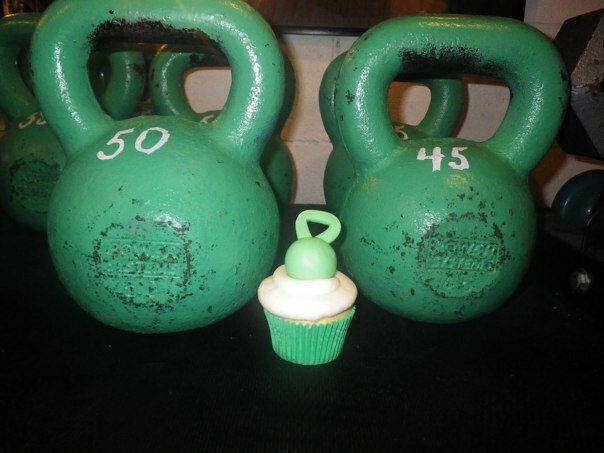 They are fun to work with, and so I was excited but a little surprised to see these kettlebell cupcakes by Zoey Cakes of Baldwinville, New York, on their Facebook page. Just goes to show, you truly can personalize cupcakes in any way at all! 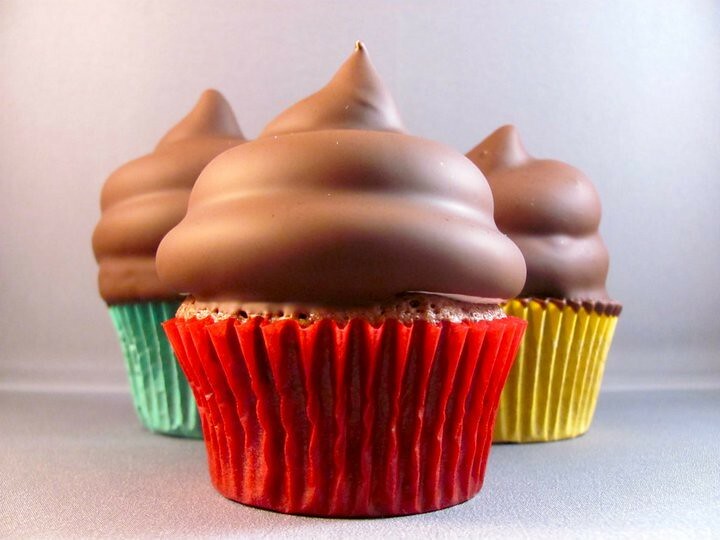 They also made these wonderful-looking cookie-topped cupcakes as well as hi hat cupcakes! I like how the wrappers on the cookie ones add a little zing to the overall image. 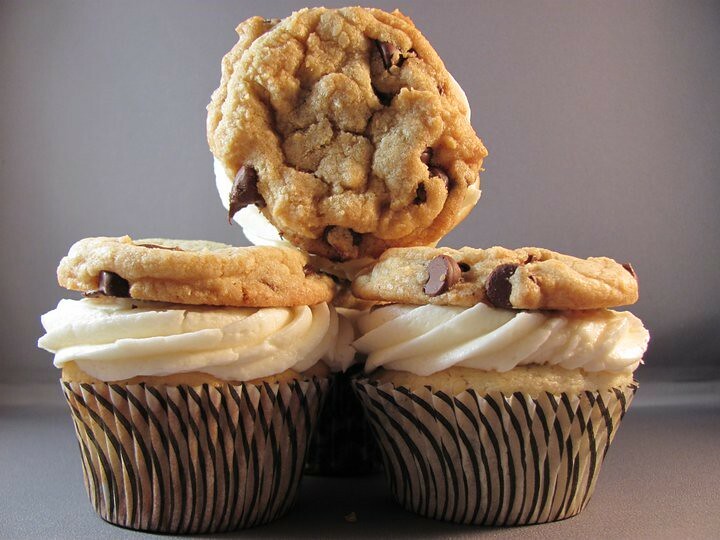 If I were eating one, though, I'd take the cookie off and dip it into the frosting.